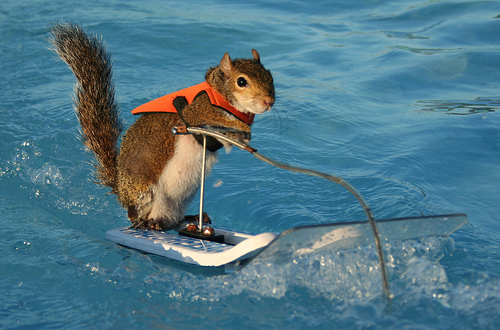 Just When You Thought You'd Seen it All » Blog Archive » Waterskiing Squirrel! I can’t even do this.. This is Twiggy, and ok, you’ve probably seen her before because she auditioned for America’s Got Talent. But how adorable is this? Twiggy was trained by a family from Florida, and tours the country showing off her skills. Full video of her Television Debut of the event after the break.